These are beautiful and colorful Holy Quran. The Quran is totally in Arabic and does not have any translations inside. The writing is in Othmani hand writing and is easy to read. 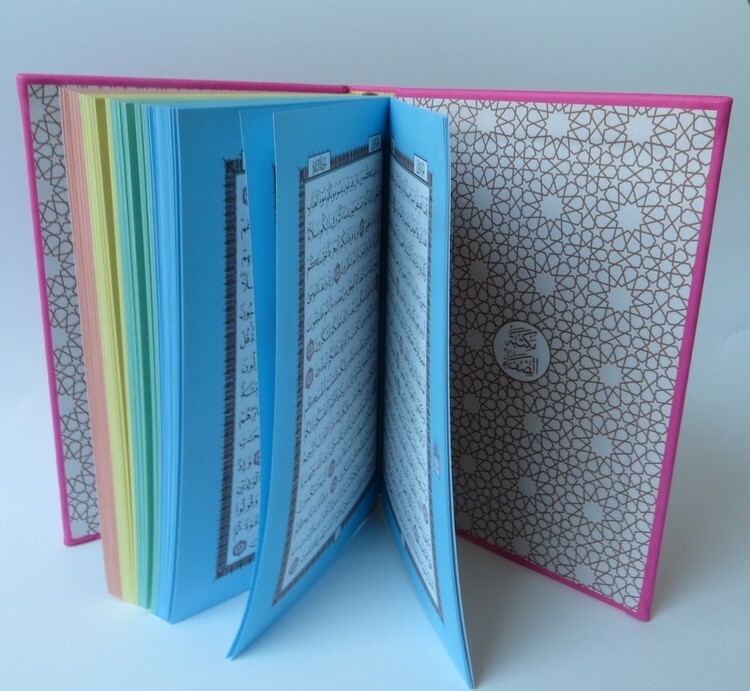 The outside of the Quran is made from a very nice and colorful genuine leather from Italy. The pages are also beautiful and colorful. These make an excellent gift for muslims of all age.